Place butter, brown sugar & vanilla in a large bowl and beat with an electric mixer for 3-5mins or until light and well combined. Add eggs one at a time, beating well after each addition. Add the melted chocolate and beat until combined. 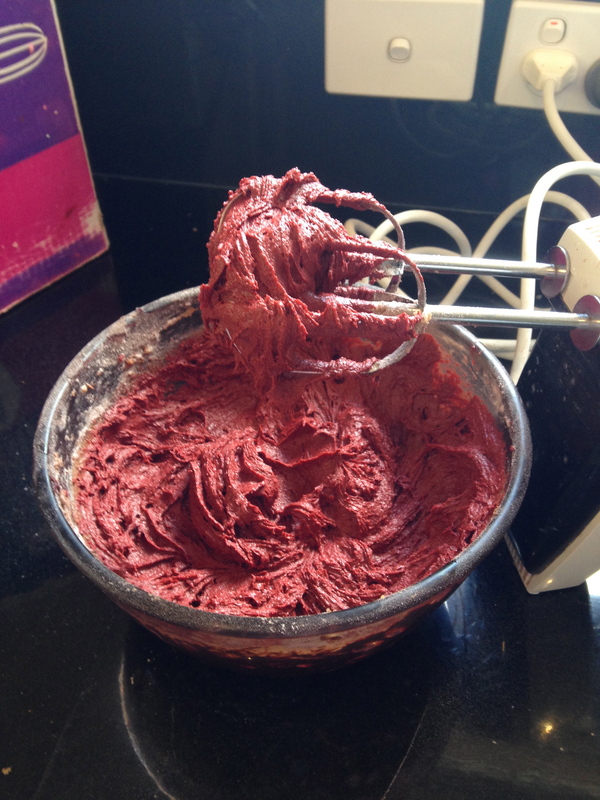 Slowly add the flour, baking powder, cocoa and food colouring and beat until a smooth dough forms. Fold through the chocolate chunks and refrigerate, covered, for an hour. Preheat oven to 160°C fan-forced. 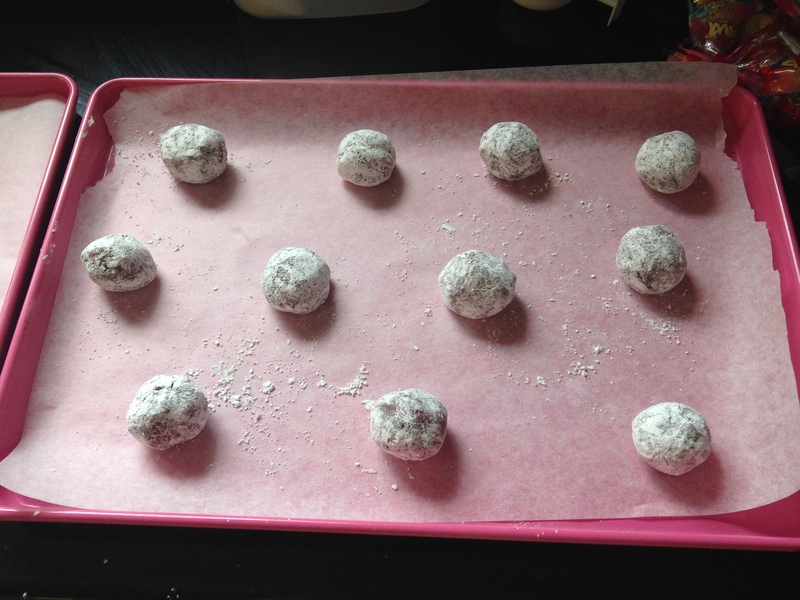 Roll dessert spoons of the dough into the white sugar, shape them gently into balls and then toss in icing sugar. Place them on lined baking trays allowing plenty of room for spreading. Bake the cookies for 12-14mins or until the surface is cracked and the edges are slightly crispy. Don’t worry if the centre of the cookies look undercooked, they will harden while cooling and be deliciously chewy on the inside. Enjoy!